Welcome back! Please see our full school calendar for all of our dates for the 2018/19 school year! © 2019. 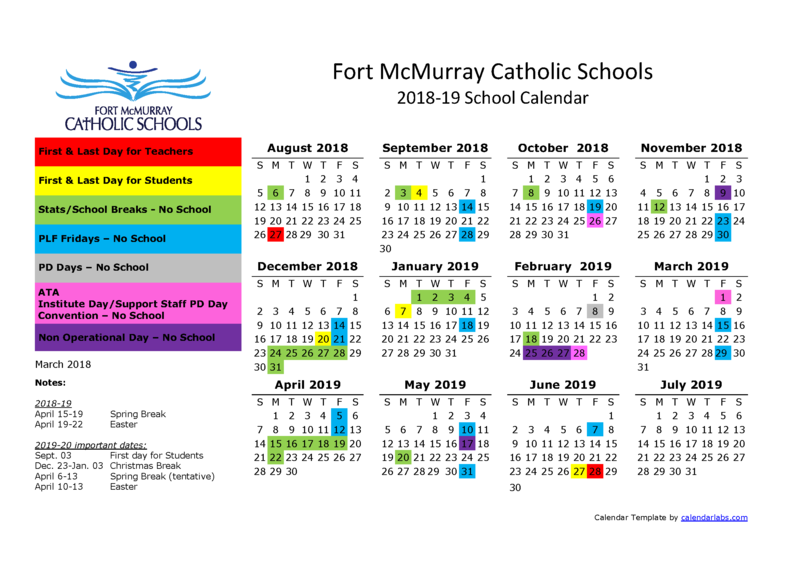 Fort McMurray Catholic Schools.